(regardless of whatever naughty words may be used in print or song titles below). So, right. 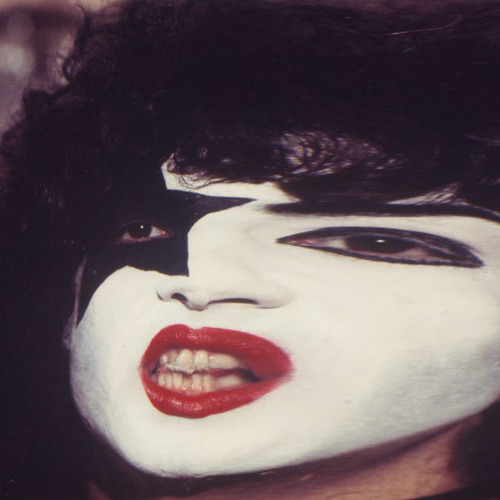 In 2013, for some reason, I took the delightful minor meme that is/was "45 Minutes of Paul Stanley Stage Banter" ("big" at the time / that week or so, of course) and split it up into 45 clips of different lengths. I then drastically time-stretched each of those (usually) very short clips to 45'51" each, and assembled the final result into an experimental ambient "work." The result is nothing more than highly-structured silliness, but it's still semi-entertaining ambient listening which captures the dream-spirit of stadium rock quite nicely in my mind. You can hear Paul scream-speaking his way through a ridiculously-extended helllllloooooooo Albuquerque / wellllll alllllriiiiiiiite just often enough, particularly as the piece begins and ends, to know where exactly it comes from. The subset of the KISS Army present at each gig cheers like crazy, possibly numbering in the collective millions when sonically piled atop one another; for forty-five straight minutes, they never, ever stop going nuts. The slow rhythm of stretched-out handclaps or floor-tom smacking generates a narcotic pulse for long stretches of the texture. Every so often, the band tires of Stanley's blather and hits a beautiful chord that seems to go on forever into Power Chord Heaven. Plus, your chances of being able to actually fall asleep with this playing-- vs. the insufferable source original-- are much, much greater. BTW, if you're wondering why this is 45'51" and not 45'00", that's because the original 45 Minutes is actually 45'51". 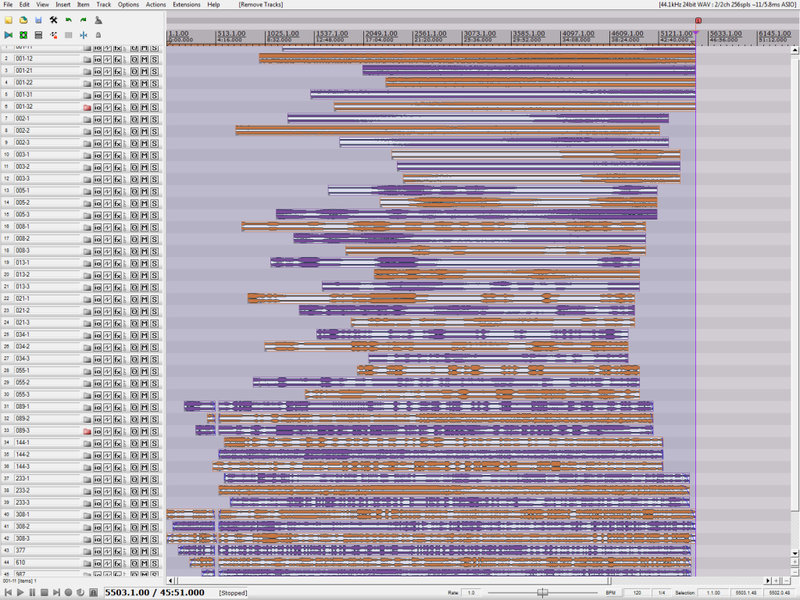 I used the integer 45 a lot in the "work design" here. But to round up to 46 as the "design number" would have meant 0.9782 percent more effort to complete this dumb thing... and 45 is also a much nicer number for metarock, what with all its widely-associated vinyl-industry baggage. Headphones or halfway decent speakers very strongly recommended; otherwise, this will probably just sound like yeah what is that?. My full original notes from May 2013 on the strictly-controlled-because-strict-control-is-hilarious "compositional process" - involving a lot of phrases like "Fibonacci-determined" - are here. You probably don't want to read them. I know I don't.